While some updates were being installed on the site, registration was disabled and not re-enabled! If you’ve tried to register in the last few days but weren’t able to, please retry. It should work now, sorry. If you were able to register but haven’t verified your email address, click Resend Verification Email, enter your email address and check your junk/spam mail! The site will not allow you to join unless you verify your email address first! Author Randy (Admin)Posted on 04/12/2019 04/12/2019 Leave a comment on If you’ve tried to register unsuccessfully in the last few days, please retry! Using a locally owned and operated website is obviously the safest method of transacting online, especially with items like firearms. As someone who has used this site, what other benefits might you say that this site gives visitors and members above national sites? Vote for existing answers and/or click Add your answer so that others can also see your opinion about why a local site is better. Share and make your comments below. 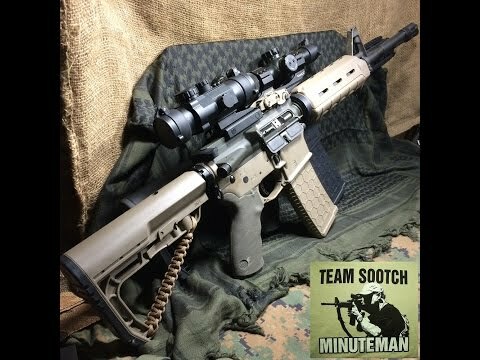 What are the benefits of using a local gun classifieds social network like Montana Gun Trader? 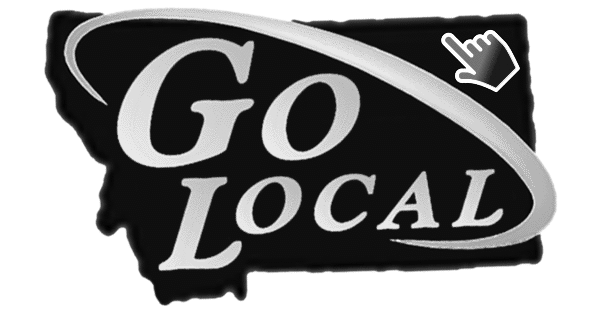 Author Randy (Admin)Posted on 03/01/2019 Leave a comment on Poll: What are the main benefits of using a locally owned and operated gun classifieds social network? I try to keep politics out of this sites blog unless it affects buying, selling and trading of guns. This traitorous “Act” in congress does that. Read his response to me below after my messaging him asking him to oppose UBC’s. Then Contact Jon Tester to tell him how you feel about his position on the completely unenforceable without complete gun registration, Background Check Expansion Act (S. 42). What do you think? 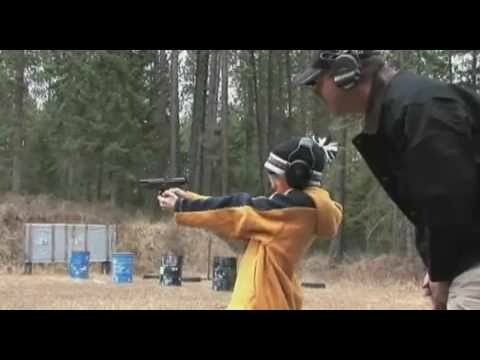 Do you think UBC’s would help stop mass shootings? Take the poll, then share and comment below. Do you support or oppose requiring background checks for all firearms transactions? 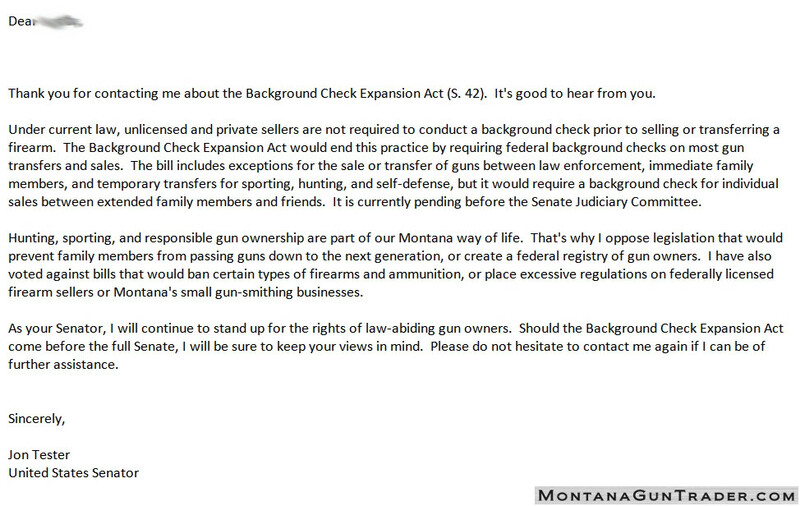 Author Randy (Admin)Posted on 02/26/2019 6 Comments on Jon Tester’s response to asking him to oppose UN-enforceable Background Check Expansion Act (S. 42). When anyone joins this site, a link that you must click to verify your email address is sent to the address you provided immediately after you submit your registration. If you joined and have not yet received it, check your junk mail and spam folders! Gmail, Yahoo and others have a habit of flagging gun sites! This site must verify your email address before your registration is approved. Why? Because this is a gun classifieds site with contact forms in your ads that need to work so you get your emails and help you sell your stuff! If you use Gmail, even current members should check their junk mail and spam folders and add us to your safe senders list! 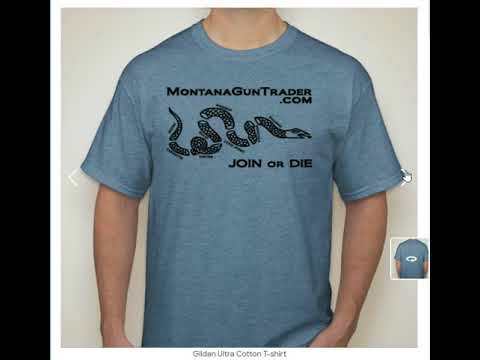 Then add the sent from email address of noreply@montanaguntrader.com to your web-mail contacts! If you have the option, whitelist this sites IP: 104.219.41.114. Once you verify your email address, a message is then sent to an administrator who then reviews your profile and approves or denies your membership. When approved, you will then immediately receive verification and a login link. Registration To Post Ads Is Now Required! Due to scammers discovering our site and posting garbage several months ago, posting gun classified ads at this site became only allowed to Montana members. We once allowed anyone to post at this site but the scammers and spammers discovered us and registration to post ads became required. If you’ve joined from outside of Montana, your profile won’t be approved and you will not receive a welcome message. You can contact members ask them about shipping out of state using the contact form in ads. Be sure to check the post content and see if they note whether they will ship out of state to your FFL, etc. Should we allow out of state members to join? So far, a majority of members do not want to allow out of state members to join. What do you think? Take the poll. Should this site allow out of state members to join? Remember, now that registration is required, location is collected before registration is approved. You can check someones profile before transacting with them. Should Montana Gun Trader allow out of state members? If you like what you see happening here, Shop from sponsors, Feature ads or Donate what you can when you can. Author Randy (Admin)Posted on 02/07/2019 02/08/2019 Leave a comment on I joined but haven’t received my verification email yet! How long does it take? Merry Christmas and Happy New Year Gun Lovers! Welcome to your upgraded website! There is now a completely new social network system that is MUCH more user friendly! It is a completely fresh start except you don’t need to worry about your classified ads. They are all still intact. Click Manage above to edit, delete or renew them after logging in. As for the new and improved social network, you will find it is now much more like Facebook so a transition is much simpler if you want to make this your new social network home. You will need to upload new avatars, cover photos and any other images you uploaded before. Unfortunately there was no way to save it. The forums have been removed because we simply don’t need them with groups. Friend connections will need to be renewed. Groups will need to be recreated. Remember! Group posts are only visible to logged in members. If you only want other members to see your posts, post in groups NOT classifieds. If you post in classifieds and want to share a LINK to your ad in a city group, that’s perfect! Author Randy (Admin)Posted on 12/26/2018 3 Comments on Check out the major social network system overhaul!